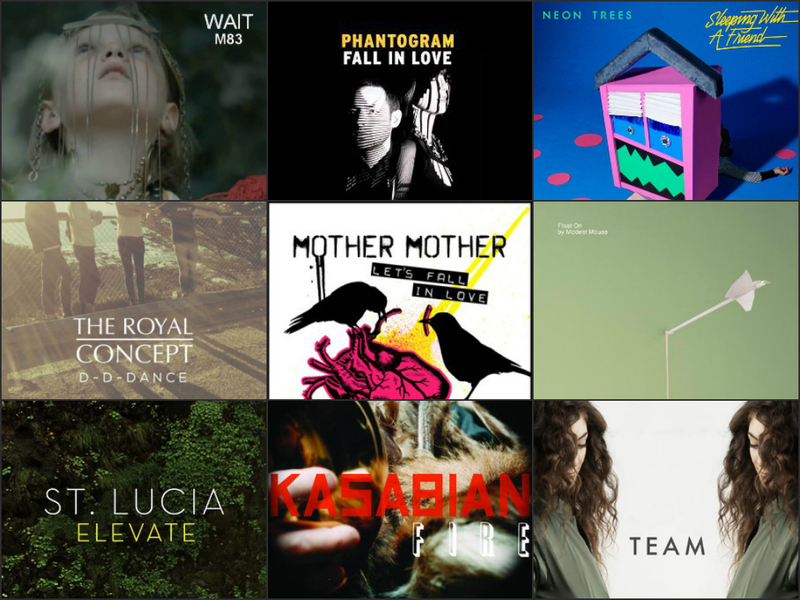 MY PLAYLIST: Top Ten Tracks for March 2014 | THE GOOD . . . THE BAD . . . AND ME. With the help of the following tracks listed below, I’ve maintained a semi-sane and inspired demeanor as I plow my way through the development of said projects. All in all, I’m glad. So glad that I’m seeing progress despite the time constraints and other spur-of-the-moment activities. With a mix of the not-so-old and almost-new tracks*, I’ve counted down the songs that I had on-repeat the whole month of March. *Note: This list is in no way connected to any popular or commercial music countdown lists out there. This is my own playlist and thus, doesn’t conform to any particular era or genre. ** Click on the images to watch/listen to the videos. TY. I like the beat and I love the styling that goes with this record. Phantogram is an electronic rock duo from New York that is distinctly original, which I completely (hands-down) like. And can I just say that I’m having a major girl crush on Sarah Barthel? Ahem. . .
I’ve always been a Kasabian fan since the moment I heard their single Clubbed Foot. This English rock hand has successfully married rock tunes with electronica that compels me to tune in every time they have something new out. Although Fire is not relatively new, it still feels like it is. It’s just a song that will never go out of style (I hope at least for 20 more years or so). Believe me, the suggestion behind this song is the least of my concerns. What I like about this song is the originality that went on creating the record. From the first note, I already know what the song is. I love 80’s new wave, and I’m a sucker for songs that continue to the 80’s new wave vibe. The moment I heard this song (sometime last month), I knew for sure that I’m going to fall in love with it. The lyrics are cavity-inducingly sweet and the rhythm is lively and makes me imagine something abso-effing-lutely romantic. It was roughly 3 years ago when I heard this song. It’s captivating and is like a fusion of Sigur Ros and Coldplay that created such a heart-warming tone that I just couldn’t pass up. This month, I started listening to it again after having a brief spell of melancholy. Every time I hear it, my mind and my heart eases up — such is its magic. Anyway, fast forward to 2014, the latest song I’m loving from their 2013 album “Bankrupt” is Trying To Be Cool. It’s unassuming and still has that indie flavor that hasn’t waned after 5 studio albums they’ve released so far. I can sometimes be shallow and it’s true when I liked The Royal Concept first because of David Larson (so hot!). Then, they grew on me, just like The 1975. D-D Dance is my first taste of this Swedish alternative rock band, and it’s a nice start. Okay, this one’s relatively old compared to most of the tracks in this playlist. When I woke up exactly on the first day of this month, I felt the urge to play this record. Don’t know why; beats me. But the same thrumming inside my guts the first time I heard it ten thousand and more nights ago returned. It’s an irresistible beat that almost always guarantees a bouncy start in the morning, even if I only have roughly 2 hours of sleep. Their style might be a bit pop-ish for me at times, but there’s a definite individuality in their sound that’s remarkably recognizable in all their songs. The music industry is totally in love with Lorde, a.k.a. Ella O’Connor — without a doubt — and I keep asking myself if this is for the long haul. I mean, there have been many media darlings that had held tinseltown’s fascination and then was dropped like a hot potato the moment another comes along. I hope that won’t be the case with Lorde. Long before that fascination, I remember stumbling upon this singer-songwriter’s less popular [than Royal] song, Team. Call me contrary of what, but Team has a musicality and sentimentality that I love more than Royals. It has more of that indie vibe that I like and until this day, I would prefer it to Royals.